The second oldest capital city of Europe is Lisbon. A city tour of Lisbon showcases the attractive sights and sounds of the Portuguese city. 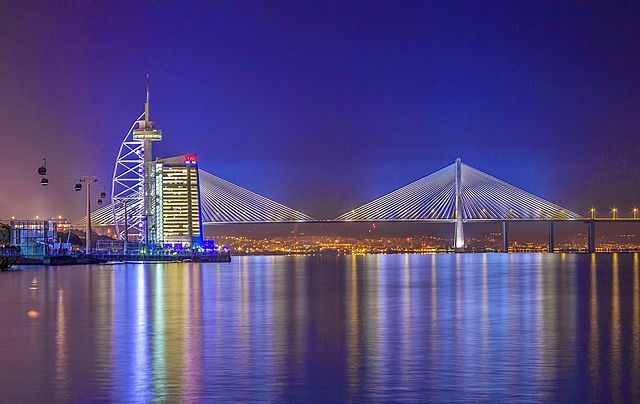 Lisbon was once a home to the world’s greatest explorers like Magellan, Vasco Da Gama and Prince Henry. Lisbon is blessed with many beautiful sandy beaches ranging from dune backed sands to little sheltered is coves. Lisbon is a great for a weekend escape. It’s a multicultural, passionate, multifaceted city. It conquers you with its mix of modern and old fashion. With its world class restaurants, style and rich history in art and culture, Portugal’s city remains high on every traveller’s hit list. Whether you’re just here for a short visit or thinking of sticking around a little longer this checklist will help you find the very best thing. Sticking around a little longer you will find the most important landmarks, get a taste of some traditional Portuguese food and uncover hidden gems in the coolest neighbourhood around the city. Discover the things to do during your visit here to get into the heart of what makes Lisbon so wonderful. Find a bakery: Lisbon will certainly become a favourite destination for visitors with a sweet tooth, right from the famous Pasteis de Nata in Belem to tartes de maca to travesseiros in nearby Sintra. Lisbon is a city in to indulge your senses. Ride Tram 28: Like San Francisco in the United States, Lisbon is a city famed for its historic, rattling tram lines. Tram 28 has been working its way up the steep, cobbled roads and into the old Alfama district for decades. The journey start from below the palm spotted hills of Graca and weaves towards the hair pin alleys of Escolas Gerais before pulling up to a halt beneath the gorgeous domes of the Estrela Basilica. Lisbon is one of the European cities located so close to the stunning seafront. From its miles of dune backed sands to sheltered coves, Lisbon is a home to numerous beautiful sandy beaches along the coast of the Atlantic Ocean. It is a paradise for beach lovers. The vibrant nightlife: In Lisbon sunset does not mean the end of the day. The day has just started for the locals, especially on the weekends and during the summer holidays from hidden bars to clubs, cellar to beautiful rooftop bars to fancy cocktail places. There is definitely something for everyone. Bairro Alto is the liveliest district in Central Lisbon for its nightlife. It is well known for its vibrant bars and quirky pubs. People tend to spill out of the different bars and drink together on the narrow winding cobbled streets. It is common with students, so the prices of drinks are highly competitive. Perfect place for foodies: Lisbon has several restaurants to offer with the Portuguese food being delicious and diverse. You will find a hatful of street food option and local restaurants. Lisbon being renowned for its seafood, you will find some of the best cafes and restaurants along with varied award winning fish dishes. It is a good place to start your day when Lisbon is the O Arrastao. But if you want try authentic food, a trip to Taberna is a must. Go treasures hunting at Feira da ladra: For a very local experience go treasure hunting at Feira da Ladra, Lisbon’s most famous flea market. Every Tuesday and Saturday here you will find hundreds of stalls selling literally anything. Boat tour along Tagus: speaking of sunset one of the most romantic things to do in Lisbon is going on a sail boat tour along the Tagus and actually enjoy the sunset views from there while sipping a glass of champagne or an icy cold beer. Lisbon is famous for open air museum because of its fascinating street art. There is street art tour that takes you around to admire the beauty of the city. Each nook and corner of the city you will find creative masterpieces, showcasing the colourful ambience of this artistic city. Find the best souvenirs from Lisbon: if relatives and friends have asked for a souvenir and you are wondering what to buy in Lisbon this time get them something different from those boring pins and shot glasses. At Conserveira de Lisboa all they sell is premium quality canned food, the shop has been running since 1950 when canned food was popular because it is affordable and but now it is become gourmet canned food. You will find here the typical sardines, tuna and mackerels together with mousse of codfish and stuffed squids and other yummy stuff. Go underwater in the Lisbon oceanariums: Located out in the blue waters of the Tagus Estuary, the huge Lisbon Oceanariums rises like a hulking aircraft carrier. You can get up close to colourful puffer fish as well as watch the sharks. You’ll see curious moray eels and meet the cuddly penguins. Watch the sunset from the roof of a car park: many Miradourous offer fantastic views of the city. It is one of the best places to watch the sun go down in Park Bar. This quirky bar is located on top of a multi storey car park. To get to it you have to enter the car park and take the dirty graffities stairs to the top level. As you are going up there’s no indication that there’s a bar at the end. Shopping: Go full hipster at LX Factory. Formerly it was known as a collection of factories. The LX Factory has been regenerated and turned into a hipster hotspot full of boutique clothing stores, restaurants and bars. It tends to attract a slightly older and mellower crowd than the Bairro Alto and is ideal if you’re looking for a fun evening with good food and good cocktail but not a night that lasts till 7 in the morning. Lisbon is a cultural wonder yet besides Fado, street art routes, literature, history and museums there is also a room for adventurous thing to do. Motorbike Tour: if you want to enjoy a unique experience you shouldn’t miss the opportunity to visit the south of Portugal on a 4 day motorbike tour through Southern Portugal along the Vincentian Coast. Visiting Lisbon and not going for surfing is like visiting Barcelona and not trying the famous bread with tomato or like going to Amsterdam and not hopping on a bike. Learn to surf with a local surfer. The better way to get to know a city than to get tips from a local on the most unique experiences is to feel it for yourself. This will make your trip truly unforgettable.